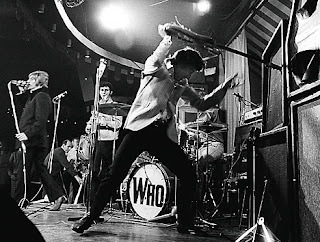 While on the subject of The Who ... These are my top 10 songs by them. I always preferred the less bloated, punk-like early era stuff (some of which appears on this list as representing 1971's Meaty Beaty Big and Bouncy, which was a compilation I wore out on vinyl as a kid. It collected for the first time several of the band's non-album singles). You may notice no Tommy tracks. I sort of lost interest in most of The Who's classic-rock 1970s' stuff, but they came back with a couple of strong cuts in the early 80s, as noted on this chart.